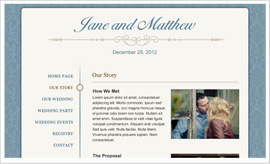 Create a free wedding website to keep your friends and family up-to-date on your wedding weekend activities. 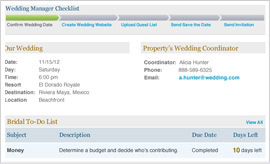 Organize your to-do lists, manage your wedding invites and stay up-to-date on guests attending your destination wedding. 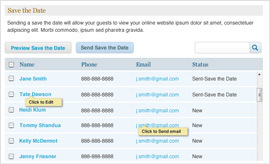 Upload your invite list and easily send an eSave the Date to your friends and family with a click of a button. © 2012 Wedding Base. All Rights Reserved.